Rohit Khandelwal, from India, won Mr World 2016 edition. 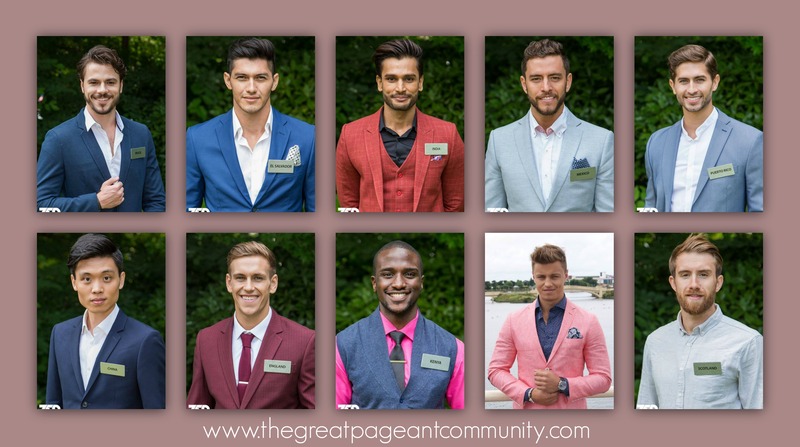 The Bi-annual male pageant took place on 19th of July 2016 at The Floral Hall, Southport,England. Rohit defeated 50 other contestants from across the globe to bag the title of Mr.World 2016. First runner-up crown went to Mr.Puerto Rico,Fernando Alberto Alvarez Soto whereas Mr.Mexico,Aldo Esparza Ramirez was crowned as second runner-up. Mr.Kenya,Kevin Oduor Owiti & Mr.England,Christoper Bramell completed the Top 5. Miss World 2013 Megan Young of the Philippines co-hosted the pageant alongside former Mr. Canada Frankie Cena. Carina Tyrrell ,Miss England 2014 & Top 5 at Miss World 2014, former Mister World winners Francisco Javier Escobar Parra, Mr.World 2012 from Colombia and Juan García Postigo Mr. World 2007 from Spain alongside Julia Morley, Chairperson Miss World Organisation were part of the jury. Challenger event winners (L-R) Sports: England,Christopher Bramell. Multimedia: India,Rohit Khandelwal. Extreme Challenge: Scotland: Tristan Cameron-Harper. Fashion:China ,Chang Zhousheng & Talent: Rafał Jonkisz.